Hey there wedding photographer friends! Today I’m sharing 5 must-have wedding photography contract clauses! Let’s be honest… wedding contracts are not one of our favorite things to deal with. Some of us really hate the legal side running a business. It often takes experience to understand what actually belongs in a wedding photography contract. Let me save you some heartache and show you five clauses that I feel are very beneficial to have in a wedding photography contract. But I have to share a disclaimer… I am not a lawyer and this is not legal advice. If you are local to the Charlotte area and you need a lawyer I highly recommend Kelly Jesson. If you are looking to purchase a wedding photography contract, visit The Contract Shop by Christina Scalera. I have purchased a few different templates from her and highly recommend it. Yes it’s an affiliate link – I wouldn’t share this with you if I didn’t wholeheartedly believe in her products! Clause #1. Let’s Eat! I include a clause in my contract to ensure that I am fed during weddings lasting longer than 5 hours. I always want to guarantee that both my second shooter and I will receive a meal and are included in the headcount for food. In that clause I also state that it is imperative for me to eat when the bridal party eats, so that I do not miss any important events during a reception! Clause #2. Harassment. I hate this is the world that we live in, but to ensure my safety and the safety of my second shooter, I include a harassment clause in my contract. After hearing horror stories of vendors being harassed at weddings, I have to. It is completely up to you how you word this clause but I define harassment as experiencing any inappropriate threatening, hostile, or offensive behavior from any guests or other person at the wedding. You can also state whatever you see fit as the consequence for that. If this ever happened to me, I would notify the planner or bride and groom, ask the guest to leave if it continues, and leave on the third offense. Clause #3. Exclusivity. I state that I am to be the only hired photographer for the event. I also state that my client agrees that any third party photographers will not impede on my responsibilities and that I have permission to approach the client to ask them to remove any obstructive parties! Clause #4. Model Release. Including a model release in your wedding photography contract ensures that you will be able to use the images however you like after the wedding day is over. Now, sometimes you will run into wedding clients that do not want their photos posted for certain reasons that are completely understandable. If this happens you can adjust your model release to only use your images in certain ways satisfy your client. Here are the uses that my clients typically agree to as far as using their wedding images: Using them on my own blog and website, third-party blogs, magazines, publications, advertisements, stock photography sales, and any other reasonable commercial purpose. Now I usually don’t share images beyond my own website and third-party blogs, and social media. However I want to ensure that if an opportunity were to arise to use my photos in a different way that I would be able to! Clause #5. Artistic Release. This is something that I have recently added to my wedding contract. This ensures that the client has spent a satisfactory amount of time reviewing my work and has a reasonable expectation that I will produce a similar style and aesthetic for this client. It states that I will use reasonable efforts to create images that are consistent with my current portfolio and that I will incorporate suggestions that my client makes to the best of my ability. However, it ensures that they understand and agree that every client and wedding is different. Different tastes, budgets, and needs create different images, and styling is a subjective art. I have a unique vision that is ever-evolving and so is my technique. I will use my personal artistic judgment to create images for the client and dissatisfaction with my artistic abilities are not valid reasons for termination of the agreement or money returned. I have never had any of these clauses actually be a problem at a wedding, knock on wood. However I always like to make sure that the client understand my needs in order to deliver the best photos possible for them. These clauses ensure that they understand their responsibilities as the bride and groom! Now, there are SO many more clauses in a wedding photography contract that are so important and that you shouldn’t overlook. However, I wanted to share five clauses today most people don’t think about or that just haven’t added to their contract yet. I would highly encourage you to have a lawyer write these contracts for you or purchase the contract in purchase The Contract Shop. I hope this blog post has been eye-opening for you. If you haven’t joined my free Facebook group for photographers Click Here! 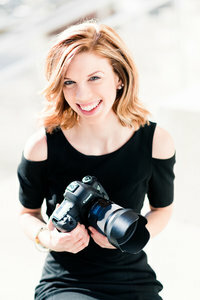 I share so many tips and tricks about how to run a successful photography business and would love to see you in there! If you enjoyed this post, you may also enjoy reading about My Favorite Email Tools, Why You Need to Define Your Ideal Client, and How to Clone Your Favorite Clients!